SAN LUIS OBISPO — A political science major seeking to study law is Cal Poly’s 2018 representative to the Panetta Institute for Public Policy’s Congressional Internship Program. 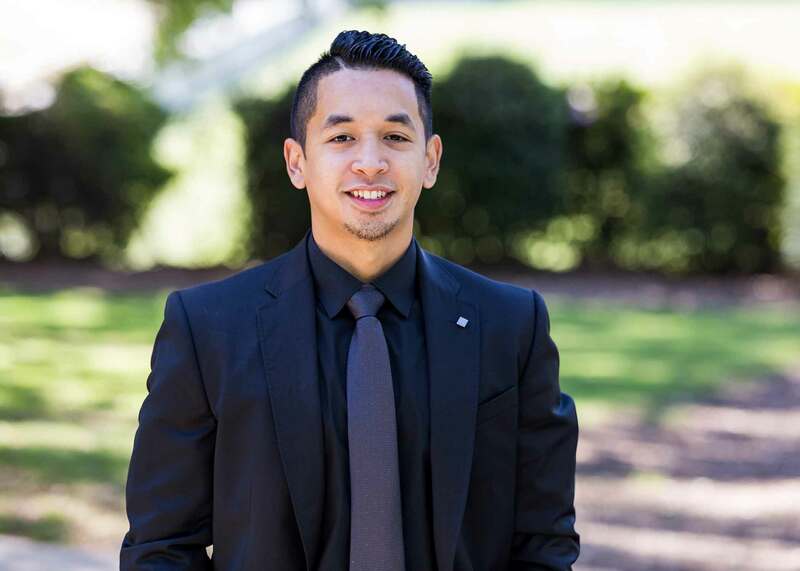 The program gives students the opportunity to work and study in Washington, D.C.
Philip “RJ” Abarquez, 21, will spend two weeks in August training at the Panetta Institute at California State University at Monterey Bay, followed by 11 weeks in the nation’s capital working full time in the office of a congressional representative. The junior from San Jose, Calif., is among twenty-six students from around the Golden State taking part in the program. Participants were nominated by their respective campus presidents. “Through the Panetta Institute, I hope to become better engaged and informed regarding the political process at the county, state and national levels,” Abarquez said. “I will be learning about all the jobs and positions across the political spectrum through hands-on experience in a congressional representative’s office. The Panetta Institute awards scholarships to students from each of the 23 California State University campuses along with one each from Dominican University of California, Saint Mary’s College of California, and Santa Clara University. This year is the 20th anniversary of the celebrated program, recognized as one of the leading internship courses in the nation because of the rigorous training it provides. The program is open to all academic majors. Abarquez is the 18th Cal Poly student to participate in the program since 2001. “We are proud that our program has earned the reputation of being one of the finest internship programs in the nation,” said Secretary Leon E. Panetta. Panetta, the nine-term Central Coast congressman who later served as director of the CIA and secretary of defense for former President Barack Obama and former President Bill Clinton’s chief of staff, said the internship offers a unique opportunity for students. The Panetta Institute covers program costs including course registration fees, campus services during orientation, air travel, and housing in Washington, D.C. By covering these expenses, the institute can make the program available to interns from all socioeconomic levels. Founded in 1997 by Leon and Sylvia Panetta, the Panetta Institute serves the entire California State University system plus several other schools. Under the direction of Secretary and Mrs. Panetta, the Institute provides a variety of study opportunities in government, politics and public policy, and sponsors a range of other programs. These include the Leon Panetta Lecture Series, which brings national political leaders and policy thinkers to the Monterey Peninsula to discuss important national and global issues, a Policy Research Fellows Program and the Leon E. Panetta Archive, a resource for scholars interested in the workings of Congress. The institute is located on the campus of CSU Monterey Bay in Seaside, California.